Archbishop of Dublin Dr Diarmuid Martin has hit out at the "alarmist" claims made about the proposed divestment of schools in north Dublin, warning there was "a danger of a new polarisation" between schools of different religious ethos. Speaking about inclusion in Irish society and the Catholic Church, Dr Martin told the Irish Independent: "We don't need to have a Catholic school and a non-religious school which are in opposition to one another or that teach disrespect or disregard for each other. "If we are going to have a system which is worthwhile, in which there are Catholic schools and schools for others of other philosophies, we must learn what is good in each other. That is something that is not stressed often enough." He added that there was "a danger of a new polarisation". 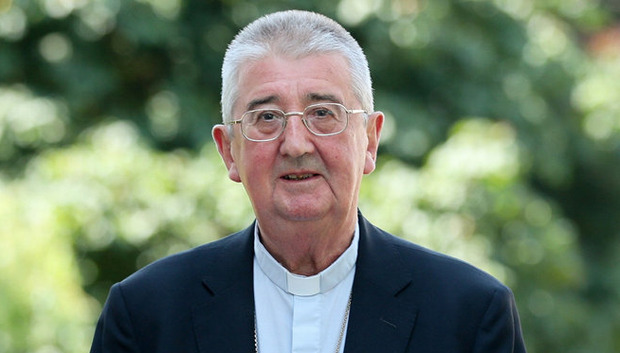 The archbishop, who is patron of around 90pc of primary schools in Dublin, stressed that inclusion is about a society in which people come to "know and respect difference and allow difference to flourish". The Episcopal Vicar for Education for the Archdiocese of Dublin, Monsignor Dan O'Connor, wrote to the schools informing them of the decision to postpone the vote and cited "confusion and misinformation" among parents, pupils and the schools over the divestment process. At a Mass to mark the Society of St Vincent de Paul's (SVP) 175th anniversary in Ireland, Dr Martin warned that a society that "fosters and perpetuates exclusion and marginalisation is to that extent a God-less society". Similarly a Church that fosters and perpetuates exclusion and marginalisation is to that extent "a God-less Church". He told up to 1,000 volunteers of the SVP gathered in the Convention Centre in Dublin for a conference to mark the anniversary that homelessness and poverty are "truly an indignity and affront to the dignity" of those who live in poverty and an "affront to the dignity of the society in which we live". He recalled that as a young boy witnessing "a poor Dublin", he would never have imagined that in the 21st century "we would be facing new expressions of poverty such as the current crisis of housing and the fact that thousands of children live the indignity of homelessness in our country". He said the area had been "marked by so much tragedy and poverty" and "so much exploitation by unscrupulous drug barons".